São Paulo was the 4th stop of our trip and I have to admit that I was looking forward to staying in a city again after a few days in a secluded jungle lodge that required a 30 minute walk to reach civilisation. We’ve booked a nice studio apartment in the centre of São Paulo through Airbnb and when we got to our new home, we knew this is the right place. Spacious, clean and modern, the apartment had everything you need including a fully equipped kitchen. Plus, it even came with some luxury: a rooftop pool, gym and a laundry room. After 3 weeks of travelling, this was the perfect base to explore the city. After settling in and checking out the views from our rooftop we were ready to see more of this massive city. 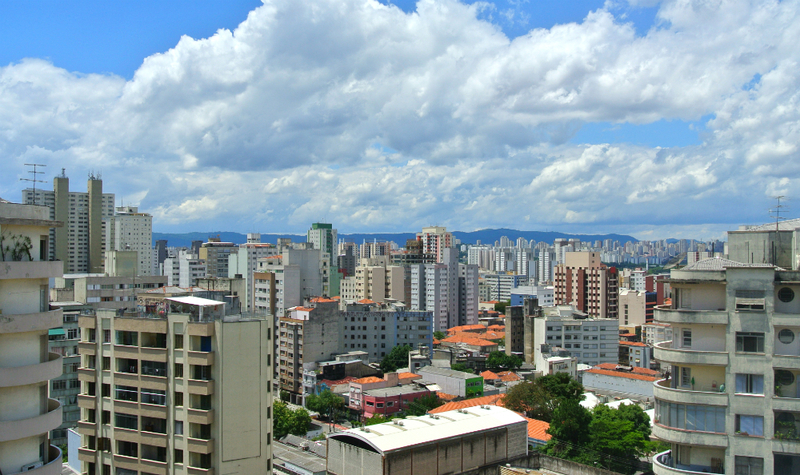 São Paulo has over 11 million inhabitants, but the main attractions are actually in close proximity to each other. On our first day, we explored our neighbourhood and checked out the famous República market that has many food stalls and vendors that sell art, clothing, jewellery, and handicrafts. The next few days, we spent strolling through the city, relaxing at the Ibirapuera Park, admiring the cathedral and walking along Paulista – the grandest boulevard of São Paulo. This part of the city fells very multi-cultural with business people running around, shopping malls and lots of food eateries. It almost felt like being back in London. The city has some great museums including the Museum of Art (MASP), the Pinacoteca do Estado and the Afro Brazil museum. But of course, we also had to go to the Football museum and it was actually very interesting to learn more about Brazil’s football achievements and history. We also love street art and São Paulo is a great place to hit the roads to find some great work. 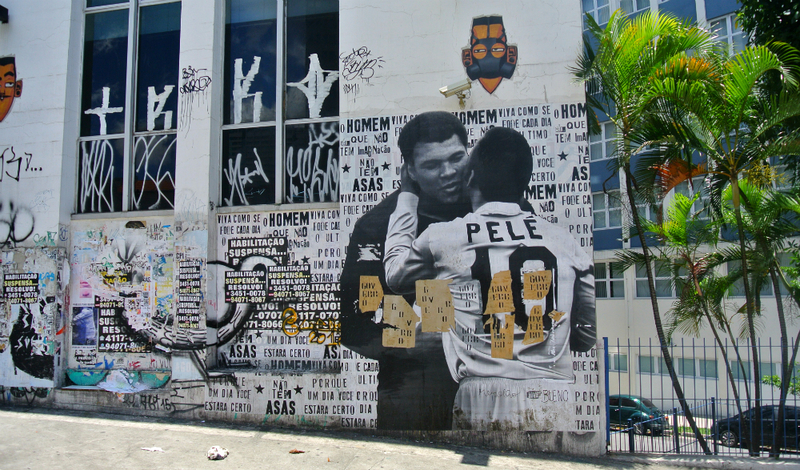 The best place to go is Batman Alley and the Vila Madalena neighbourhood but Charlie was also eager to find all of the Pele street art that are spread across the city. It turned out to be quite tricky to find them but luckily we found 4 at the end! It’s also a great city for trying out different food. São Paulo is home to 5-7 million people with Italian origin (this makes it the third largest ‘Italian city’ after Rome and Milan), so we had to try out the Pizza. We went to Pizzaria Veridiana in Higienópolis and it was delicious – the best pizza we had so far in South America. But São Paulo also has a high population of Japanese people. You can see Japanese food vendors across street markets and the district of Liberdade is home to the largest Japanese community outside of Japan. 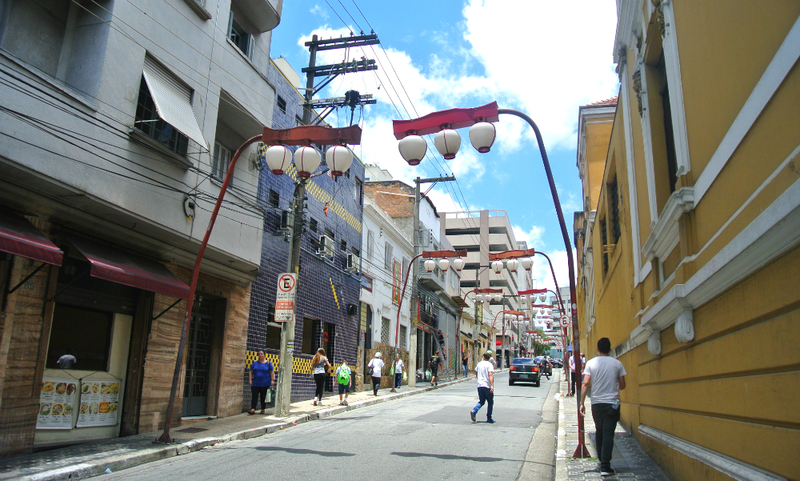 We just loved wandering around this area and getting to know a different side of São Paulo. We also used our time in São Paulo for a much-needed rest. Travelling is fun and exciting but it’s also tiring especially if you try to explore everything by foot. I loved that our time in São Paulo didn’t just feel like a holiday but also like a home – we cooked, did our washing and relaxed in front of the TV. São Paulo is a business city and might not be a tourist hot spot but nevertheless we enjoyed our time and appreciated the diverse food, cool museums, shopping and the international flair. 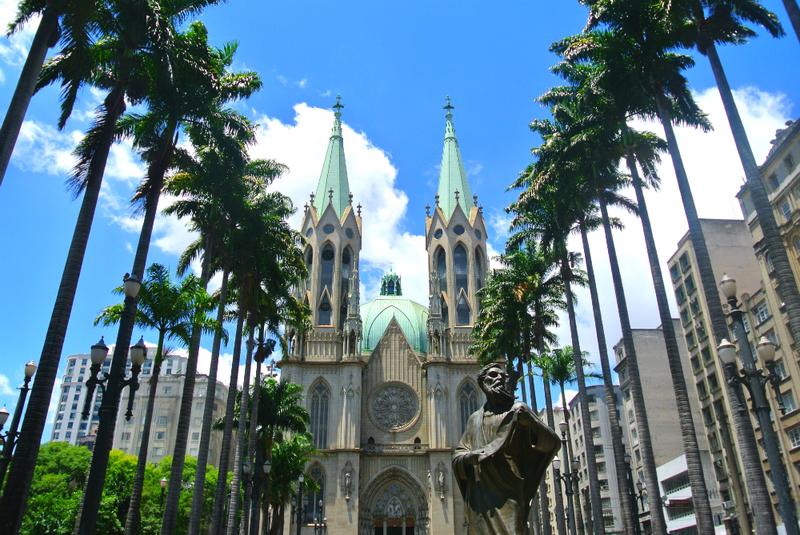 Have you visited São Paulo or is it on your bucket list? Let me know in the comments below. This is cool. It looks like you really had a great time there. I didn’t enjoy Sao Paulo that much, but it was still a good place to spend two days. And it looks like you had a great apartment there, which makes all the difference. Brazil is on my list for a while now. Can’t wait to explore more. I have a friend from San Paulo and keep saying iIwill go and visit one day. I hear it’s beautiful and the pictures look great. Didn’t know about the Italian background so I have learned something new today. Never been to Brazil yet, but looking forward to San Paulo and that street art! Brazil is on our never ending list. I love the photos, especially the one with the street art. I have no idea that so many Italians and Japanese live there. Thank you for sharing! It looks very beautiful. Interesting about the Japanese community, never would have guessed that. I would love to explore off the beaten path there, probably some cool things to see as well. Brazil is one of my bucket list destinations. I didn’t know about the Japanese district. It looks like a great city to visit, and wonder on its streets. Great photos! Great post, and lovely photos. I also had no idea that Sao Paulo was so multicultural – fascinating facts about the number of Italians and Japanese there! Thanks a lot, glad you like the post! I was very surprised too when I read about how many Italians and Japanese live in Sao Paulo. It’s an very interesting city! I’ve never been to Brazil but is definitely on my bucket list! Specially the north! I’ve read is very beautiful, have you been in more places?